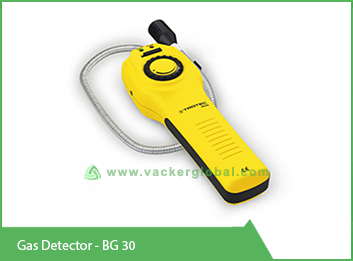 As it is clear from its name, Ammonia Gas Detectors are devices that used for detecting the level of ammonia present in the ambient air. These devices are specially designed in such a way that the range of ammonia is detected even at 1 PPM (parts per million), which is 30 times below the point from where ammonia can be sensed with smell. These can detect ammonia to 5+PPM in the ambient air. Ammonia is a colorless gas with a pungent odor. It is a commonly used chemical in an industrial environment and is used in the form of both compressed liquid and gas. Although it is very hard to ignite, it is still characterized as an inflammable element. When it is exposed to heat, an ammonia solution decomposes to produce ammonia gas and nitrogen oxides. Ammonia gas is more irritating than harmful and the level of irritation rises with an increase in the concentration of ammonia gas in the ambient air. 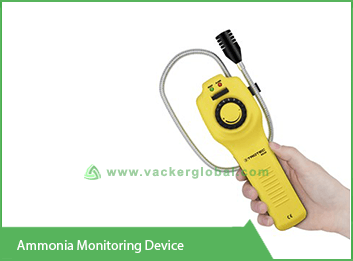 Hence, the ammonia gas detector will provide you consistent and accurate readings of the content of ammonia gas in the air to let you act against ensuring an ammonia-free safe environment. 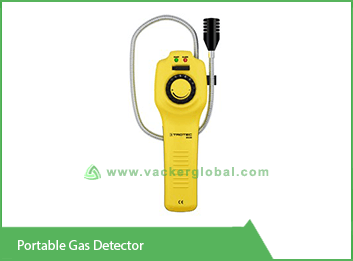 There is presence of sensors and indicators in the gas detector. There are color indicators to indicate you that there is a presence of ammonia gas in the ambient air. The usage of colored membranes makes it more efficient device as the ammonia gas diffuses through the membranes which allow the sensors to be used again and again. The reversion of color may take time depending upon the air temperature, duration of usage of the device and the concentration of ammonia gas in the air. Technically speaking, ammonia content in the ambient air is considered bad for human health and with the increase in content of ammonia the harm increases proportionately. 0-25 PPM Minor eyes irritation and mild irritation on the respiratory tract. 25 PPM It is the Permissible Exposure Limit according to OSHA. 50-100 PPM Conjunctivitis, Felling of vomiting, throat irritation, issues with eyelids. 100-500 PPM High concentrations are considered dangerous, intense irritation, can cause death on prolonged exposure. It is very reliable with no false results. It is very easy to install and can be immediately used. You will not require extra tools or extraordinary knowledge to install and use it. It has the capacity of continuously monitoring the ammonia content in the air. The device is not affected by the presence of carbon dioxide, oxygen, nitrogen and many other gasses commonly found in the environments, neither is the reliability of results affected. The performance is not affected by a humid environment. It can be repeatedly used for testing purpose. The sensors of this device can react with ammonia even at very low concentrations, way low than detection thresholds of many other similar models from various manufacturers. Furthermore, it has the capacity of working well even at an extremely high concentration of ammonia content in the air. There are different synonyms for ammonia and they are: anhydrous ammonia, aqua ammonia, aqueous ammonia. 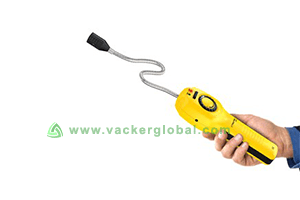 Vacker KSA has a long list of different ammonia gas detectors that are supplied to most of the major cities of KSA like Dammam, Riyadh, Al Khobar, Jeddah, etc. Our valuable customers are the industries of fertilizer plants, poultry farms, cold storages, food processing industries, refrigeration plants and much more. The gas detection system is powered by a dedicated emergency backup power system that can operate even in the situations of power failure. Generally, an uninterruptible power supply (UPS) is used as a backup so that the devices can run without any breach in the detection process. These devices are systemized with an alarm function that can send signals to any monitored locations. Such monitored locations can be security rooms or any control rooms distant from the area being monitored. All the output functions are configured to toggle, hence even if the concentration of ammonia falls below the adjusted point, you will need to reset the device under the supervision of an expert. This is considered important against the recurring leakage that we have detected successfully and have taken care of.